Fourth quarter final kicks off today at Colombo's Premdasa stadium between England and Sri Lanka. Sri Lanka with a complete home advantage would get in to clinch a win here and move ahead to play a semi final against New Zealand. At the same time, England will try to turn tables and do the same against Sri Lanka. Andrew Strauss said that they win they move ahead, they lose they are on plane back home. They are confident and will give their best to clinch a win here. Kumar Sangakkara said that as it is a do and die situation for both the teams, pressure will be equal on both the sides. 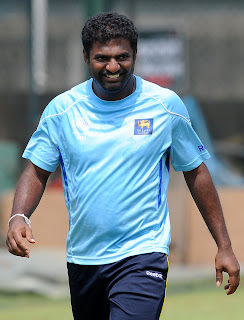 Muralitharan who hardly has 3 matches left of his career (if Sri Lanka reaches final) will try to give his best as he has announced his retirement after this world cup. Malinga will be dangerous with his unplayable yorkers. But England's in form batsmen Trott, Bopara, Strauss, Bell are all ready for the challenge. An enthralling match on hands. Stay tuned with live streaming online.